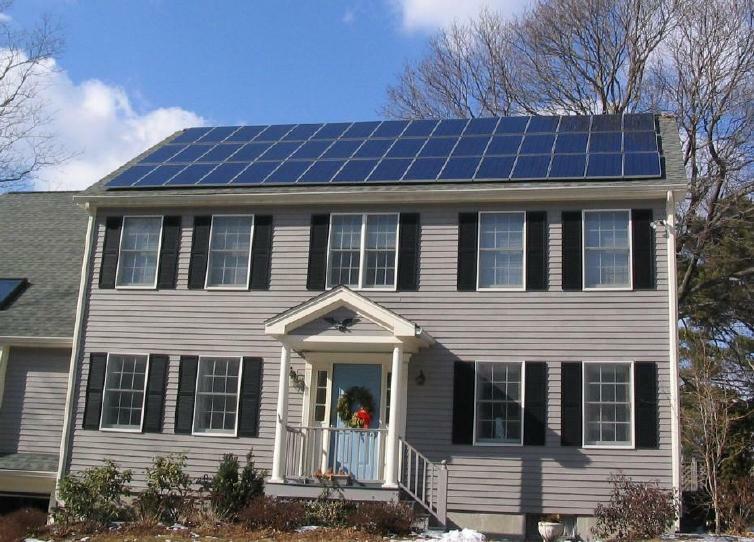 Is residential solar really the future of electricity generation? Renewable energy technologies have made outstanding progress in the last decade. The cost of solar panels has plummeted. Wind turbines have become massively more efficient. In many places some forms of renewable energy are cost competitive. And yet…just as these exciting changes are taking place, the renewables movement seems to be shifting its focus to something that has little or no connection to the fundamental environmental goals: distributed generation, particularly at the residential level. In practice, this means rooftop solar PV. Instead of seeking the most affordable way to scale up renewables, the loudest voices (though possibly not most of the voices) in the renewables movement are talking about “personal power”, “home energy independence”, “empowering the consumer”, and rejecting “government-created monopolies”. In the not so distant future, residential PV may be augmented with onsite storage (as suggested by Tesla’s announcement this week of its Powerwall home battery system). The new emphasis on distributed generation has created a very unusual coalition between some traditional environmentalists and some anti-government crusaders. Parts of the tea party movement have joined the Sierra Club in advocating for “DG-friendly” residential electricity tariffs, which mean high volumetric electricity charges in order to make rooftop solar economic. I’m sorry, but count me among the people who get no special thrill from making our own shoes, roasting our own coffee, or generating our own electricity. I don’t think my house should be energy independent any more than it should be food independent or clothing independent. Advanced economies around the world have gotten to be advanced economies by taking advantage of economies of scale, not by encouraging every household to be self-sufficient. Compared to grid-scale renewables, DG solar has many advantages. Generating and consuming power onsite means no line losses, which typically dissipate 7%-9% of grid-generated electricity before the power gets to your house. In addition, DG solar occupies your rooftop, a space that doesn’t have a lot of alternative uses, so the real estate cost is essentially zero. And as an extra bonus those solar panels also shade part of your roof, reducing the heat gain on hot sunny days. In certain cases, distributed generation delays distribution system upgrades as demand on a circuit grows, because less power has to be shipped into the circuit on sunny days. It also can reduce the need to build new transmission lines to carry power from distant grid-scale generation. Having many small DG solar installations also spreads them around – spatial diversification – reducing the overall volatility of generation when clouds roll through. Plus, spatial diversification and onsite generation can make the system more resilient to natural or man-made disasters, such as storms or sabotage. But distributed generation also has some serious drawbacks. The first and foremost is that design, installation and maintenance of solar PV small rooftop by small rooftop costs a lot more per kilowatt-hour generated than grid-scale solar, probably about twice as much these days. The scale economies that are lost with small systems on roofs of different size, shape, and orientation is a big disadvantage compared to grid-scale solar plants that are 10,000 to 100,000 times larger than a typical residential installation. The size of grid-scale plants also makes tracking devices practical, which allows the panels to move throughout the day to continually face the sun and generate more electricity. 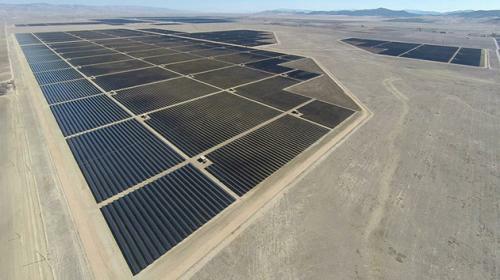 While small scale spatially-diversified generation could in theory reduce distribution upgrades and improve resiliency if the location and types of installations were optimized for those benefits, that’s not how DG solar is actually getting installed. Systems are put in where homeowners choose to install for their private benefits regardless of the impact on the grid, and they can actually destabilize distribution circuits when they pump too much power back into the grid. In Hawai’i, where 12% of houses now have rooftop solar, that’s already a serious concern. Though it’s great that DG solar can contribute energy to the grid when the household doesn’t consume it all onsite, exporting power from the house reduces the DG advantage in line losses and distribution capacity upgrades. For a typical residential system, at least one-third of the electricity generated is injected into the grid, though that may change with cheaper small-scale storage, one of the many technological factors in flux. The technology installed with DG solar also is not optimized for the grid, so current systems aren’t contributing to resilience. Solar PV installed today doesn’t have the smart inverters or the onsite storage that would be necessary for the systems to remain operational when the grid goes down. Closely related, DG solar systems aren’t communicating with – or controllable by — the grid operator, so the system operator has to just guess when they might start and stop pumping power into the grid. How do these pros and cons sort out? Right now, I believe that residential solar loses to grid scale. But I’m not convinced that will always be true. And I don’t think that means households should be impeded from adopting DG solar today, just that we shouldn’t be giving it special incentives. We need to recognize that DG’s role in the electricity future is uncertain and locking in on this (or any other) technology is unwise. Well, then, how should we decided whether to go with DG renewables or grid-scale technologies? We shouldn’t decide. Instead we should design incentives that reflect the real benefits and costs of each type of system and then let them battle it out. This has two big advantages. First, it reduces the political fighting that comes with policymakers choosing one technology over another, or even the share that each technology should get. Second, it pushes all alternative technologies to keep innovating and lowering their costs. Designing such science-based incentives isn’t easy. It requires detailed examination of each of the costs and benefits I’ve listed (and probably others that commenters will suggest). It will not be possible to nail down each of these factors exactly, but we can’t make good electricity policy if we don’t carefully study what benefits and costs each technology brings to the table. Tying renewables incentives to the best engineering and economic analyses of their net benefits will involve some heated debates about those analyses, but at least we will then be arguing about the right issues. Then we should craft incentives that accurately reflect the net benefits each alternative technology offers. I’m not sure exactly how those incentives should be structured. But I can tell you that they don’t involve paying households retail rates for power injected into the system, as net metering policies currently do. And they don’t involve maintaining retail rates that are many times higher than avoided costs — even including pollution costs — in order to create artificially high savings for PV adopters, as the current tiered electricity rates do in many states, especially in California. They do include much greater use of time-varying pricing and, probably, location-varying pricing to reflect the real value of power on the grid. Smart incentives based on careful analyses can reflect the dynamic value of distributed solar and distributed storage. Curtailing net metering would boost the value of battery storage. A lower cost of storage would smooth out prices over time and location, which would reduce the production timing advantage solar has, but would also reduce the problems of load balancing on individual circuits as DG solar ramps up. Lowering volumetric residential rates would make end-user storage less valuable by closing the gap between retail and wholesale prices. If DG solar with incentives that reflect its true benefits wins, that will be great, because we will know we’ve got the least-cost approach to reducing the externalities of electricity generation. If it sputters, that will be fine too, because it will indicate that there are other less-expensive ways to achieve our environmental goals. Either way, it’s time for incentives that are truly calibrated to costs and benefits, not to achieving penetration of one low-carbon technology over another. Though many people don’t have a roof for solar, either because they live in multi-family housing or, in the developing world, because the roof can’t hold the weight of solar panels. Good points about the integration with the grid: no grid operator can command when DG systems input power, and the inverters aren’t optimized for grid input. That said, a relatively cheap part of the system is the inverter. Once the panels are in place, more sophisticated inverters can handle the two objections above. Good points, but I’m disappointed to see no mention of scenery desecration and the growing human footprint due to centralized renewable power sources, especially industrial wind turbines that are typically over 400 feet tall now. Energy sprawl is already a huge problem and quality of life is suffering as rural areas become industrial parks. Any analysis that neglects to mention scenic impact, noise and bird/bat kills is missing huge factors. It’s really strange that “environmentalists” would treat landscapes as expendable while claiming to respect nature. You see a lot of that in the wind power zealot crowd. There is little doubt that solar is going to play a major part in our future. The power companies see this as a threat, and as a result here in New Zealand they are starting to actually charge customers with solar an extra tax. They say it is so that other individuals without solar do not have to pay extra to keep the grid maintained. How backward-thinking is this? And for some reason our clean green country’s government is doing nothing? They give no incentives at all for solar and never have. The buy back rate for solar is already so low it’s criminal… $6c per kWh. The solar revolution could really do with a credible leader. I am a 1985 graduate of Cal and a “2 year veteran” of residential solar sales! The recent extension of the federal 30% tax credit for 5 years and consumer friendly legislation for continuation of net energy metering laws make the distributed model of clean energy hard to pass up when it is right for the individual homeowner. It is a step in the right direction and I don’t see any reason why large scale solar or other renewable energy sources should or would be delayed or diminished in their importance because of the growth of roof top solar. Jeff Flanzer, Direct Energy Solar, Ojai, CA. I used to work for a solar energy company. The advances made in that realm are so beneficial to the world. I really think the future will be bright thanks to renewable energy! NET-METERING — the homeowner with solar panels sells excess electricity back to the utility company — is an economic football game. Obviously homeowners who generate more electricity than they need on a sunny day should be allowed to sell that electricity into the grid at the prevailing price. But utility companies only want to pay a fraction of the market value for that electricity so their corporate profit will be maximized. Furthermore, the flaw in the author’s zucchini analogy is that a finite vegetable market exists and a store would be lessening its own sales by being forced to buy homegrown zucchini from its customers for resale…….but solar-generated electricity does not have a similar finite cap: the more solar-generated electricity the utility has available to its grid, the cleaner the environment will be. So it is a flawed analogy that the author and the utility company marketing people invoke by implying that there somehow exists a finite cap on solar-generated electricity like there would be on zucchinis. Every utility company in America has carbon-generated electricity that can be dialed back at any time of the day to bring in clean solar-generated electricity from any and all sources and that’s a win for clean air folks and a tiny hit to the utility company bottom line. This issue is not old but also not new, however thank you for your clear content on the issue. For the future, solar electricity is mostly in high-light areas where there is a lack of hydroelectricity or run out of oil and gas resources. In 20-30 years, the oil and gas resources will be scarce. Surely there is a new electricity resource to replace it and its citizens will be leaders. If I am in a low-sunshine area, I will hope it is solar. Severin, Thank you so much for defining the issues clearly, this is very useful. 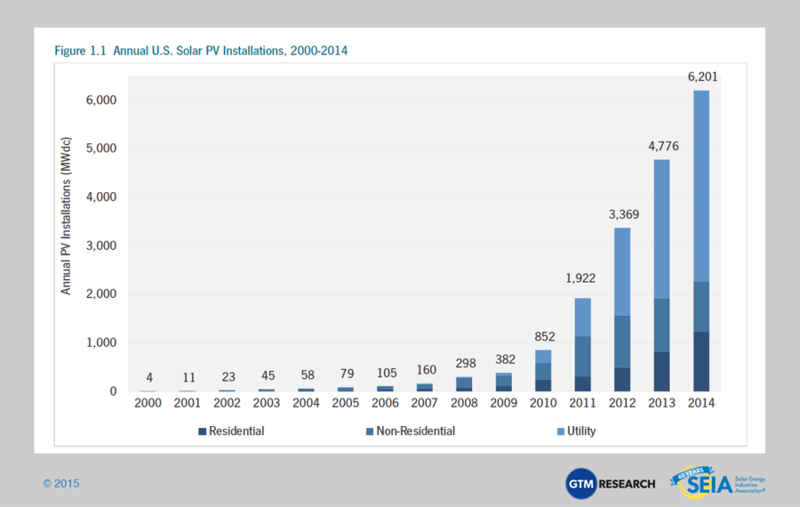 As someone who has had a residential PV system since 2006, I have to say I’ve become more skeptical of them over the years. I’ve had to have all the panels replaced due to defects (fortunately covered by warrantee). I’m due for an expensive inverter replacement at some point, and my panels have to be hosed off often and should be washed twice a year, something no one bothered to tell me. And my system is no longer conforming — changes in fire safely regulations mean that new systems have to have small enough footprints that fire fighters can access the roof safely. I could not legally put in a similar system today — it covers too much of my roof. I would have been better off using the money for an energy-efficient refrigerator, LED bulbs and new windows. Some of that I did anyway. And all of this is true even with the closet subsidy schemes like net metering and tier shaving. Under a more rational scheme, it would have never made economic sense to install residential PV. My experience with residential PV has been the opposite of this post. 100% reliable over the last 9 years, with about 1 hour a year total maintenance (washing off using a garden hose). My system covers less than 30% of our roof area but supplies 120% of yearly energy use of the home. Systems sold today produce much more power per unit area and hence take much less roof space than ours. Total electricity cost per month is currently $14 for a grid connection fee that all users pay. Interesting analysis, Severin. Let me add some value to it by providing some real world numbers about residential DG. The cost of a solar panel system over its useful life (at least 25 years) is no more than $0.08/kWh. This low cost is the primary driving force behind the fact that every 3 minutes there is another solar installation completed in the U.S.
More to the point of your article – residential or grid scale? The answer is obviously both. One of the greatest things about solar pv is its amazing versatility – it can be implemented at any scale cost effectively. The fact is that we need more renewable energy as quickly as possible if we are to provide a sustainable future for generations to come. The first order of business is to try to educate the ‘Energy Enthusiasts’ of our world that for the electricity system, energy is a secondary matter. Kilowatts first, then kilowatt hours. We size the system first to meet expected peak customer instantaneous demand, plus room for growth and for contingencies. In California and the Southwest, peak load does not occur when the sun is shining, or in the summer nowhere close to zenith, but about 7 p.m., or 1900 in utility, military, European, parlance. This is important to the Enthusiast’s carbon reduction proposal, because it leads to the question of whether the rooftop solar displaces any carbon-based energy resources at all. They certainly don’t for winter peak mornings. There are a big mix of resources for summer peak afternoon and evenings: supporters will say that solar and wind are displacing the most expensive resources. The problem with commercial wind is that it is not a firm resource, so it does not keep anything off-line. Rooftop solar looks more like conservation: reduced load in the middle of the day. So that, a few hours past the sun’s zenith on a really hot day, customer shoots up! If the utility is not prepared, it gets very expensive. So carbon displacement? Lots of variables, by utility, a little different every day. Good luck with that. Severin you make some valid points. In a ‘perfect world’ the utilities would be our friends and part of the solution. Where I live in Montana, the utilities might as well be the enemy of renewable energy. This also includes the public service commission and the state legislature. I’m sure this is also the case in other ‘less than forward’ thinking states. Up here anything other than coal is shunned if not outright detested. Distributed generation provides a buffer against these forces that should be on our side but rather provide the obstacles. Visions of favorable legislation are nothing but a pipe dream. Here in Montana a community solar bill didn’t even make it out of committee this year in the legislature. Instead $1 million was earmarked to fight out-of-state utilities that want to curtail coal use. While I’m all for incentives and legislation favorable to alternative energy, I believe in many states it should be looked at only as pleasant surprise. Relying on the government to come to our rescue can only prove to be disappointing and futile. I agree that we really need to stick to a real cost benefit analysis. I am surprised that you don’t factor in the environmental benefits that we simply can’t ignore? Tangible costs should somehow include the CO2 reductions when using solar. More importantly when comparing grid generated kWh show 20c+6 Tonnes etc?